Several years into the mini pedal craze, we think its fair to say that these micro gadgets are here to stay. Never to be left behind, the folks at Dunlop have been releasing several of their most popular pedals in mini form. In fact, it seems like most of Dunlop’s new offerings at this year’s NAMM show were indeed mini pedals. The MXR Sugar Drive Mini is Dunlop’s new, miniaturized take on the classic Klon circuit. Given the recent resurgence of Klon obsession, we were excited to get our hands on this one and see how it fares compared to some of the current klones. Volume: controls the output volume. 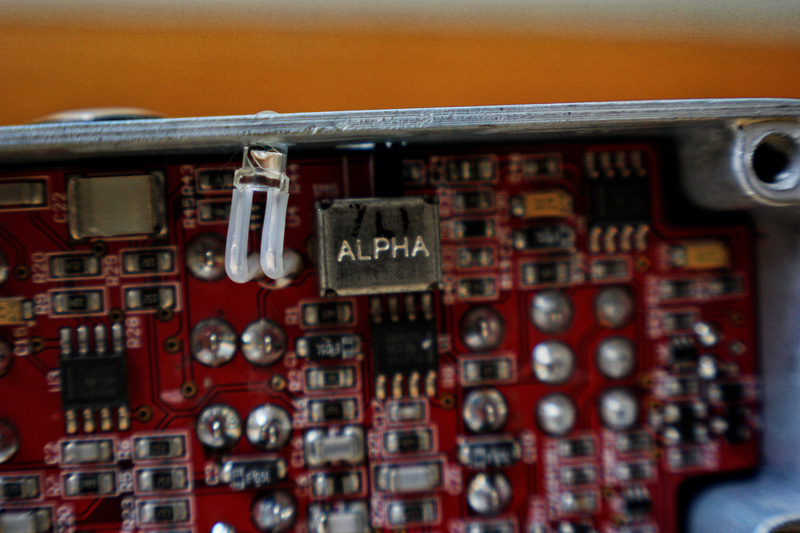 This pedal has lots of headroom, and this is reflected in the span of the volume control. 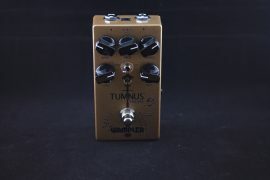 At full crank this pedal will provide your signal with an additional 26dB of volume, making the Sugar Drive an excellent choice of clean boost, in addition to overdrive. MXR is clearly aware that countless players rely on their Klon or klone pedals for some “transparent” clean boost, and have engineered their version to maximize this potential. 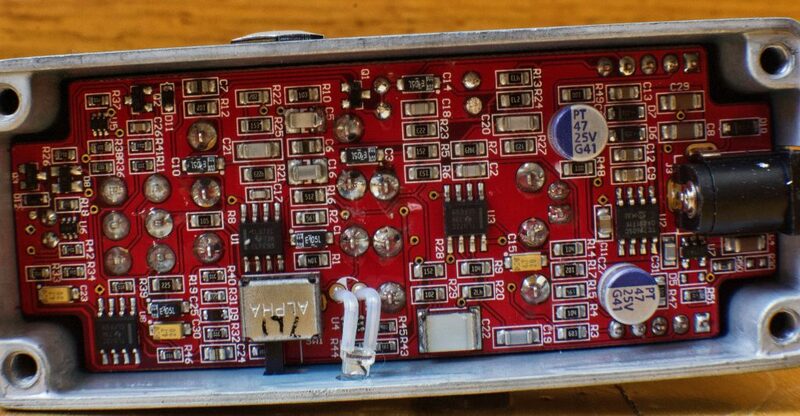 Some of this can be attributed to the voltage doubler, which is a key element of this pedal’s circuit design. 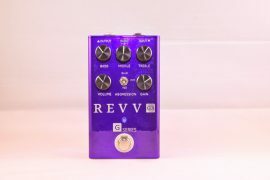 The most noticeable effect of the voltage doubler is that it increases the pedal’s headroom, which gives the pedal its uniquely “clean” sound, regardless of how the drive knob is set. Tone: controls the EQ profile of the pedal’s sound. Turning this knob up will increase the treble, while turning it down will roll off the treble and give you a warmer sound. Similar to the volume knob, the tone knob has a generous range that can provide you with some serious spank and twang at higher settings, as well as some seriously smooth lead tones when turned down below the noon position. 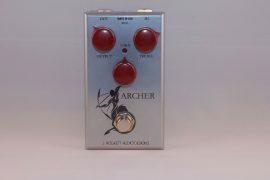 If you are using this pedal as a clean boost, the tone knob can help you match your amp’s tone, so that when you do kick on the boost it does not affect the EQ profile of your sound. This is what people typically mean when they refer to a boost as transparent, as it does not alter the quality of your sound, but simply adjusts your overall level. Drive: adjusts the level of overdrive. Turn it up and you get more drive, turn it down and you get less. If you are new to klone style pedals, you should know that the drive control functions a little bit differently than that of a more typical overdrive pedal. 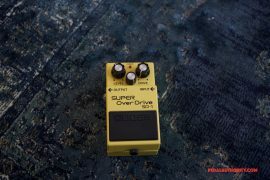 The Sugar Drive (and most klones) are constructed in such a way that turning up the drive control dos not simply increase the gain, or overdrive intensity. Rather, this pedal starts with your clean signal (or whatever the quality of the signal is that enters the pedal) and then actually blends the overdriven signal into the mix as you turn up the drive knob. The idea behind this is that the pedal emulates the character of a tube amp as it is turned up through its characteristic stages (clean, breakup, overdrive). Regardless of the phenomenon that this pedal was designed to mimic, the result is a circuit that gives you a level of control typically associated with a studio environment. The blend knob as a feature on pedals has become increasingly popular in the past few years (we’ve seen it on everything from compressors, to delays, to gain pedals and beyond), yet the general design of the Sugar Drive’s klone circuit dates back to the early 1990’s. When you take this into consideration, it is no wonder the original Klon was such a success, as it allowed players to access a level of control that was previously unavailable in the live environment, using analog gear. It is the way the drive control works that gives the Klon and subsequent klones their unique tone. 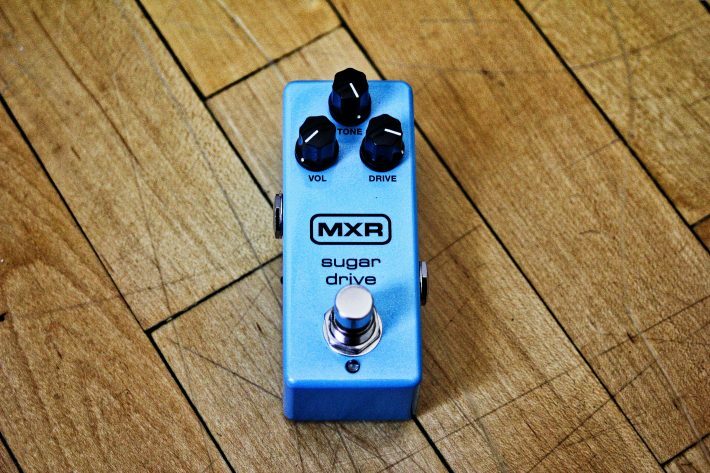 Of course, every manufacturer has their own take on it, and we happen to like the clarity with which MXR has incorporated this feature into their Sugar Drive. 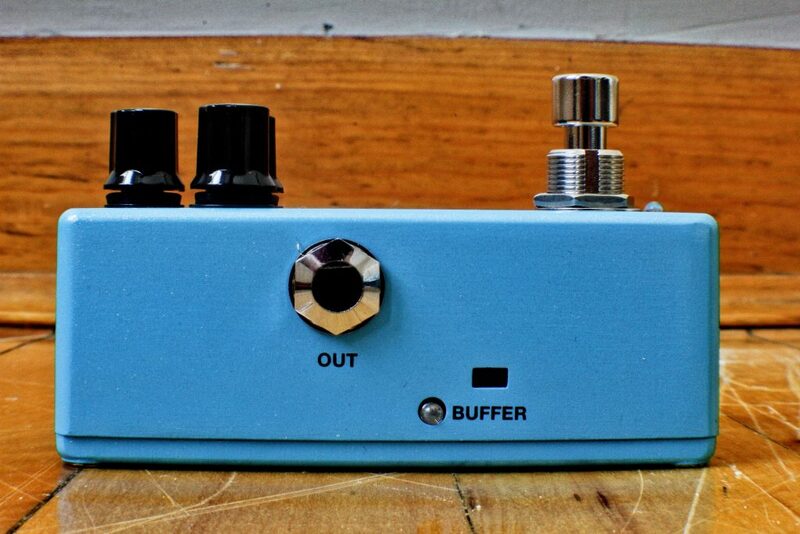 Buffer: switches from true bypass to buffered. True to form, MXR has brought this time tested circuit into the 21st century with the inclusion of true bypass circuitry. However, there are many who would prefer to run this circuit in its original, buffered form, and MXR has had the foresight to include a mini switch, located on the left side of the pedal, which allows you to easily switch between the two modes. It is worth mentioning that this switch is recessed, meaning that you will need to use a pen or similar object to access it. We regard this as a good thing, since it completely removes the possibility of accidentally kicking the switch, yet it is still more convenient than opening up the pedal to access a dip switch. MXR has even included an accompanying LED that indicates when the buffer is engaged, so you can always be sure that your pedal is set just how you like it. We tested the Sugar Drive with a couple of different amps and found it to be responsive and versatile in a variety of contexts. Running into a Fender Blues Jr., the Sugar Drive does a good job of eliminating some of the boxiness associated with smaller combo amps. In fact, by using the pedal as a clean boost, we were able to get the Blues Jr. to sound remarkably close to an old Fender Twin. 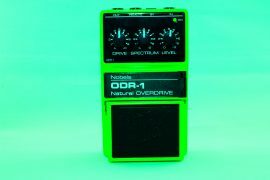 Adding a little grit via the drive control resulted in some smooth saturation, without the woofiness that you might get from a different style of overdrive pedal. Paired with a Peavey 6505+ head, this pedal lent a bit of clarity, and a very tasteful mid-bump, perfect for down tunings, and full voiced chords with high levels of gain. 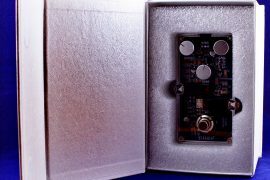 Whether you are familiar with the classic Klon circuit but would like something with a couple of extra features and that fits conveniently on any pedal board, or you want to see for yourself what all the fuss is about without having to sell half of your rig, the MXR Sugar Drive Mini is worth checking out. At less than half the cost of many boutique offerings, but at least as many features, you can’t really go wrong with this new little offering from MXR. Check it.